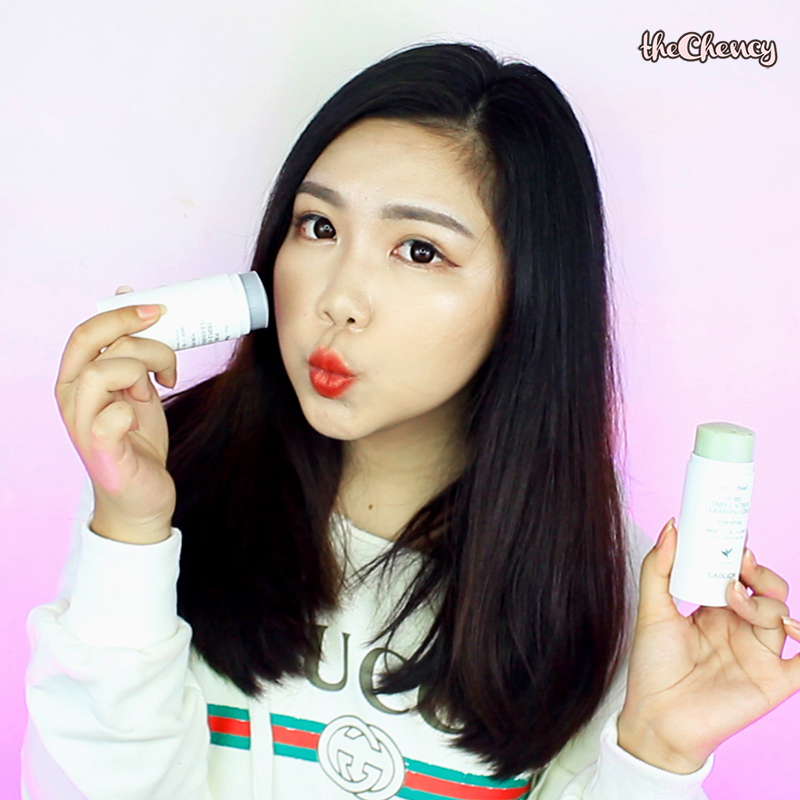 Beauty, Travel & Lifestyle - theChency's Diary : [Skincare] Caolion Pore Series | Say YES to Zero Pores! When you purchase this Pore Deep Toner at Sephora, you will get 300ml actual size of toner plus 60ml deluxe size and a spray. 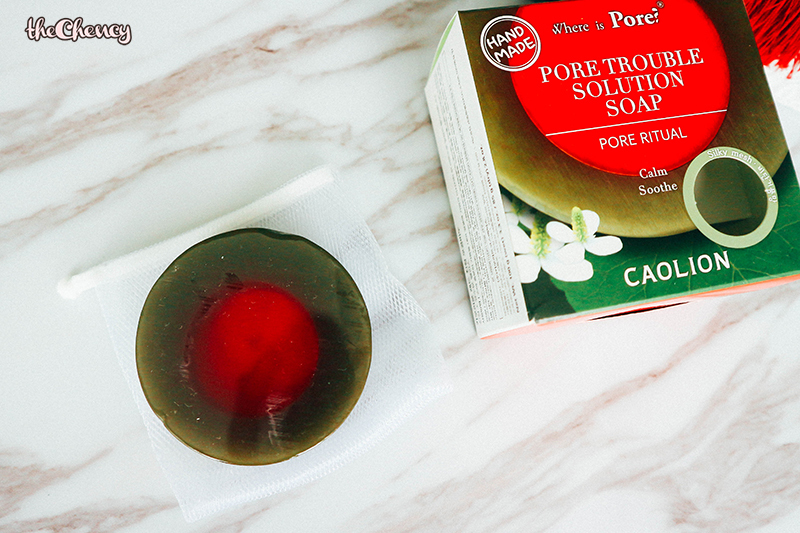 This Pore Deep Toner is helps to remove impurities and strengthen skin hydration. It is also to enhances pore elasticity ti tighten pores, adjust Ph5.5 skin balance, soothing and calming the skin. This toner can be use as toner and mist. I like to use this as a mist more than toner to keep hydrate my skin all day. So far I am enjoying this toner and it doesn't cause any irritation or sensitive to my skin. Pour some onto cotton > Wipe > Viola! This product comes with two options, Charcoal and Green Tea. 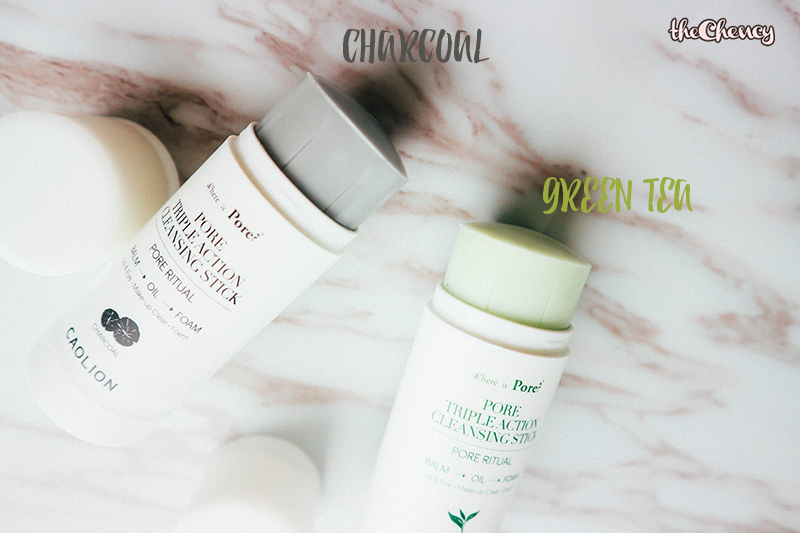 Both cleansing sticks comes with exfoliating effect, Charcoal is natural charcoal scrub while Green Tea is natural green tea. 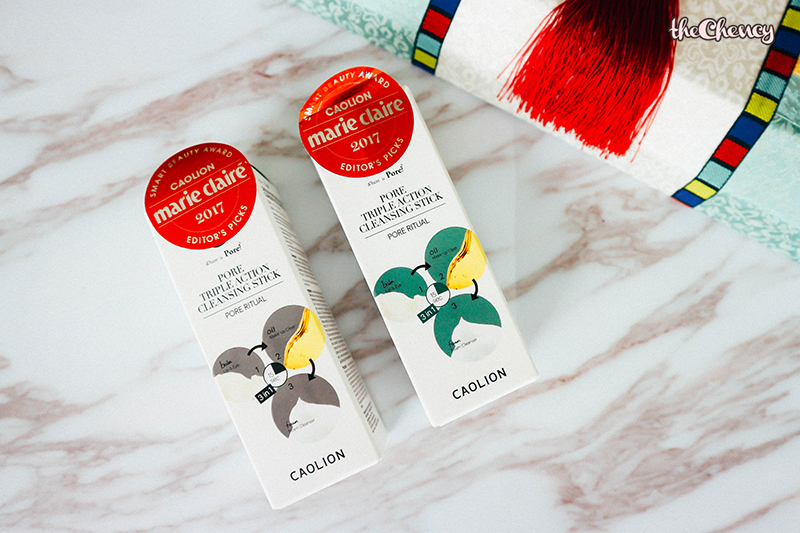 This CAOLION Cleansing Sticks meant for 3 step cleansing: balm > oil > foam for removing heavy lip & eye, and base makeup. This is my favorite makeup remover. If you love oil-based makeup cleanser then you will into this like I do as well. Firstly, because this packaging is so convenient and travel friendly. I don't facing any spill or mess. The size is like a jumbo glue stick so easily fit into makeup pouch. Second, this cleansing stick removes EVERY SINGLE MAKEUP on my face even waterproof mascara and liquid lipstick. To be honest, I don't usually use this on my eyes area but I'd tried and it doesn't cause any irritation to my eyes. So far so good, even heavy eye makeup with falsie glue, waterproof mascara and liquid lipstick is easily remove by keep massaging in circular motion. Third point is does not have waxing feel when dilute with water. If you tired the famous Banila.Co Clean It Zero then you probably understand what I meant. The reason why I am not a fan of that stuff is because I have no idea why it doesn't emulsify with water and end up have to use towel / tissue to remove it. In conclusion, this CAOLION Cleansing Stick is so comparable to Shu Uemura Cleansing Oil but has add on exfoliation effect into it. 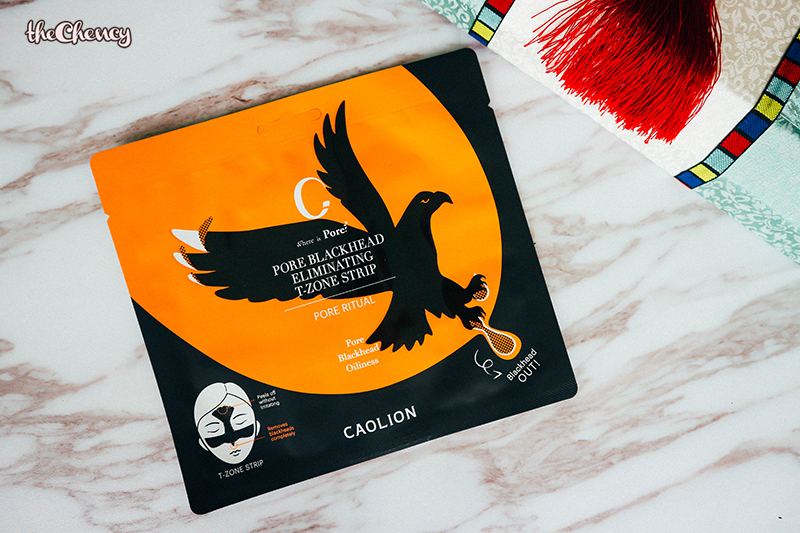 This is 3 in 1 T-Zone Pore Strip that helps to absorb blackhead, protects irritate skin and tightens pores. The shape is an eagle-shaped strip to covers the entire T-zone area. This is my first time trying out T-Zone Blackhead Strips and also this is the most painful strip I'd ever tried in my 22 entire life. I am impress with the effect but the painful is kinda no joke too. If your facial hair is pretty long, I do not suggest you to try this because you will cry like me in the end lol. Will I repurchase again?! Erm... Probably yes when I want to throw a nuclear to my blackhead basecamp. Wet the face > Place on the T-Zone area > Wait for 10 mins > Pull from the top > Viola! Facial soap is pretty well known again. This is a gentle soap for skin trouble solution. The main ingredients are Centella Aslatica extract for calming skin trouble and Green Tea & Aloe Vera for skin hydration and soothing. First of all, this solution soap does not makes my skin dry after cleanse and it is surprisingly pretty effective of acne. I have some breakout because of changing diet meals and some hormone changes, then I tried this solution soap and it really calming down my angry pimps gently. As for the pores, so far I don't really facing 'wow' effect but still slightly minimize my pores. Put the soap into the pouch > Wet the soap > Turns into lather foam > Wash > Rinse with water > Viola! 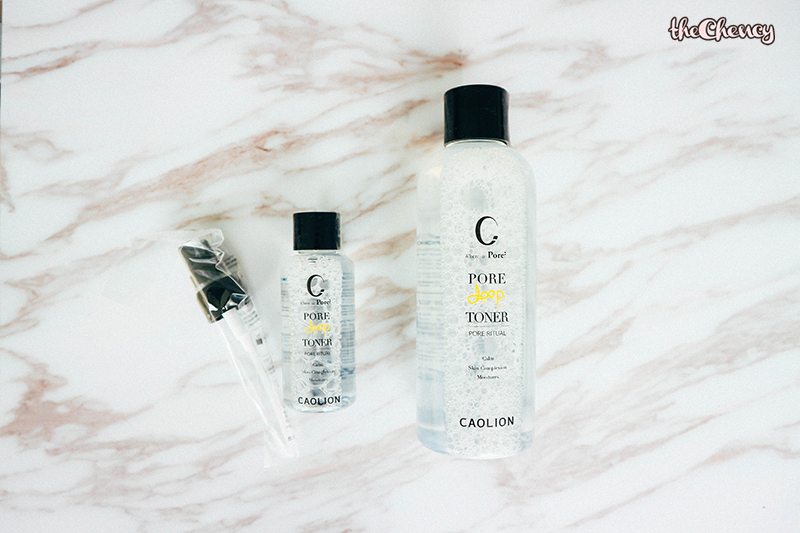 You can purchase CAOLION products at Sephora Store and Sephora Online. Im quite interested with the cleansing stick but then it is quite pricey with that little grammage 😅 i guess will be quite harsh for removing eye makeup. This brand looks good huh. Btw how do you make the college of the gif ? So cute. As our age grow, the pore become more visible. Hope that this range really do wonders to my skin. yes to minimal pores too! , the gif picture at the end so cute! Never heard of this CAOLION products. But this looks great, I need to give this a try. First time heard of Caolion brand. Your videos are good. your gif image speak louder than everything.... Love it... I wanna buy too!!! Hahaha I really had a good laugh seeing you remove the CAOLION Pore Blackhead Eliminating T-Zone Strip. I want to try it as well but it looks kinda painful to remove! !